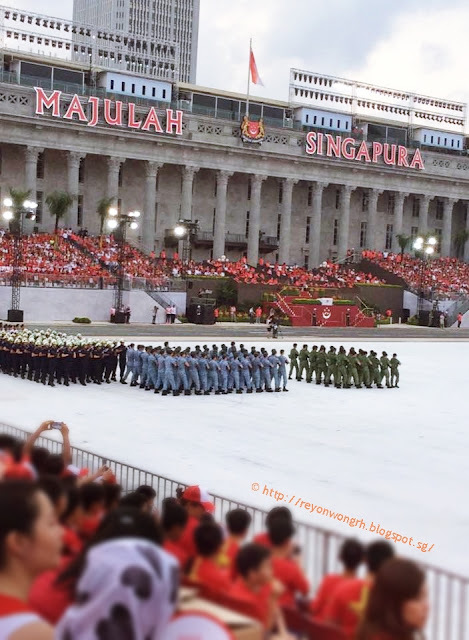 This year Singapore celebrates 50 years of independence which falls on 09 August 2015. This Golden Jubilee event will take place at both Padang and the Marina Bay floating platform. Our school is among the first batch to attend the National Eduction (NE) Show on 11 July 2015 to sneak preview the grand show at Padang. Every year during June to August, trucks from Malaysia will bring in lots of Durian into Singapore as it durian peak season. For overseas friend, durian is a topical Asian food with strong odour and thorn husk. Growing your own vegetables at home might is fun and you always look forward to see their different growing stages. Like from seeds to seedlings; small plant to adult plant, flower to fruits. Every stage takes time and we need to care for our plant by giving them water and sunlight in order to keep them healthy. Although my house corridor has only limited space and sunlight but we still managed to grow some vegetables like bok choy, bittergourd, cherry tomato, okra and some herbs that mum can use for her cooking. All written texts and photographs in PIGGY LAND are original unless otherwise indicated and © Copyright to the owner of this blog; Rey W. No part of the content may be reproduced without prior written consent from Rey W. All rights reserved.